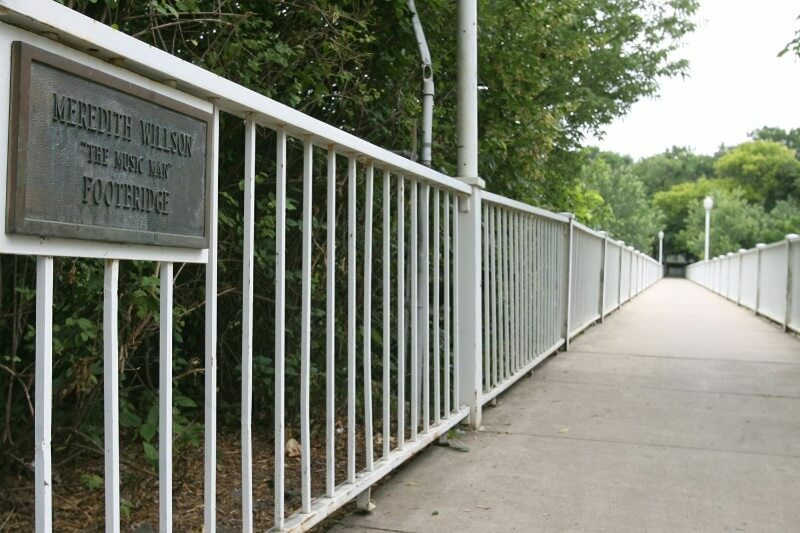 Named in honor of Meredith Willson, Mason City native and internationally renowned composer of “The Music Man,” this footbridge spans across Willow Creek and is featured on the Prairie School Architectural Tour / Historical Walking Tour. 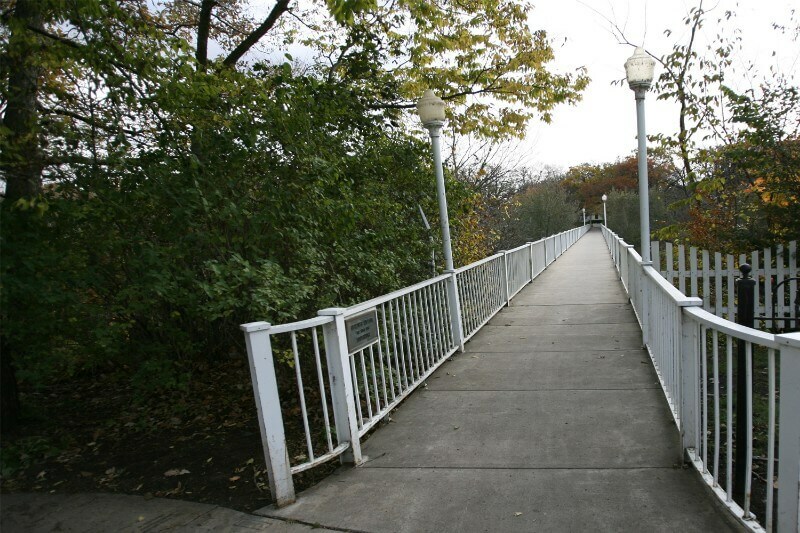 The Music Man Footbridge is located at 2nd Street SE, connecting River Heights Drive and South Connecticut Avenue. 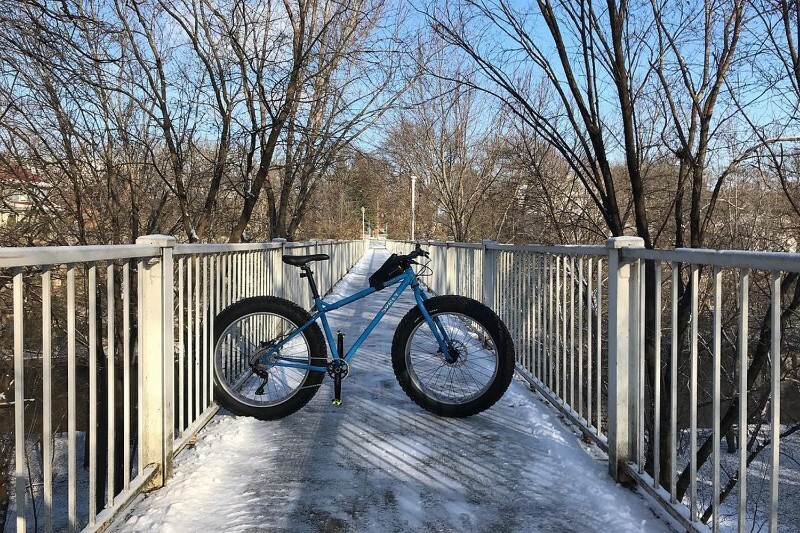 The footbridge has been a part of Mason City history for more than 100 years. 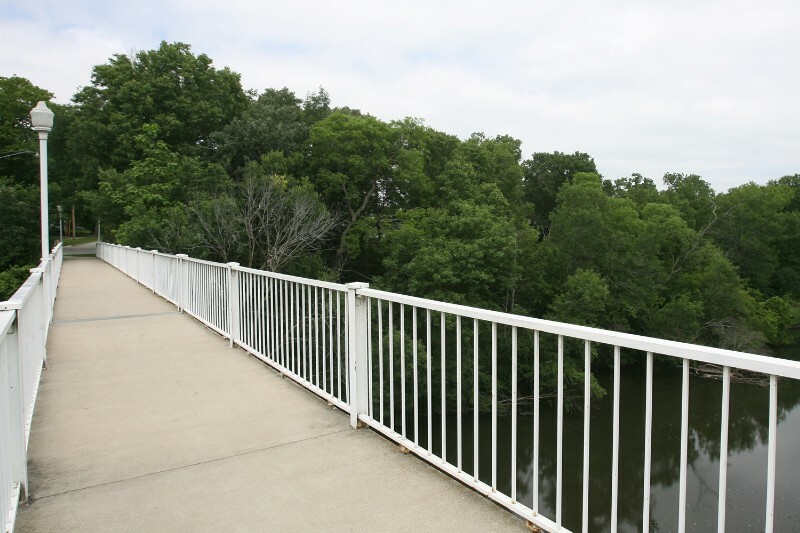 Meredith Willson immortalized the footbridge in his 1957 musical about Mason City, “The Music Man”. The original walkway was built of wooden planks with a hand rail bolted to the walk and covered by wire mesh. Wooden steps led down to the bridge from the sidewalks at either end. The current footbridge, with a steel arch, cement deck and iron guardrail, was built in 1940. 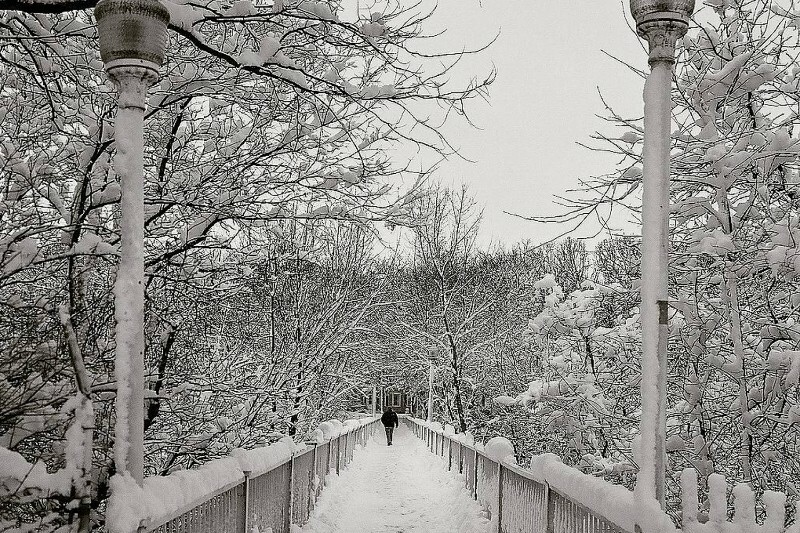 The footbridge is 450 feet long and 7½ feet wide. More information about Meredith Willson. More information about the Prairie School Architectural Tour / Historical Walking Tour.